The McAlear Gallery is located in the Brown Welcome Center and was dedicated in 2008. Museum quality lighting and cathedral style ceilings make for a dramatic venue for the hosting of exhibits by regional to international artists. Since it’s opening, the McAlear Gallery has exhibited art from the country of India, the art of calligraphy by Japanese masters, impressionistic works of Robert Mazur and the photography of Cheryl Hardy — to name a few. The space also doubles as a gathering area for events taking place in the Veh Conference Center. The 2019 exhibit features local artist Donna Ebert. 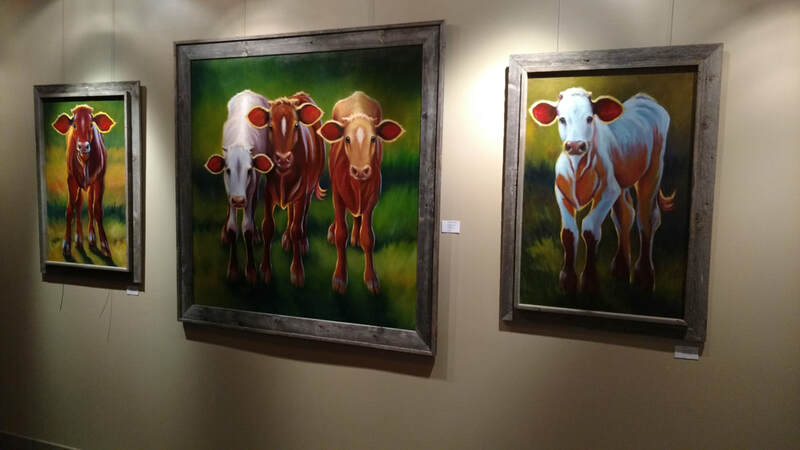 Donna's oil on canvas exhibit is themed "Out to Pasture".